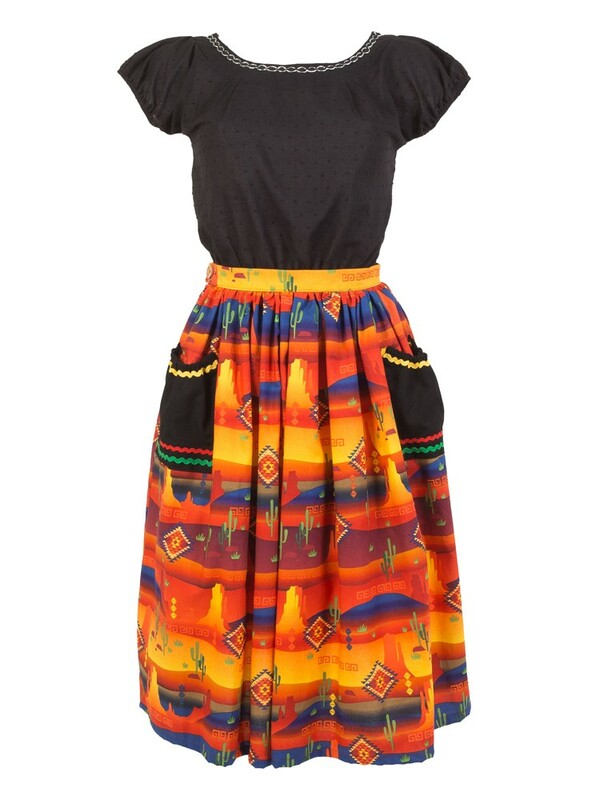 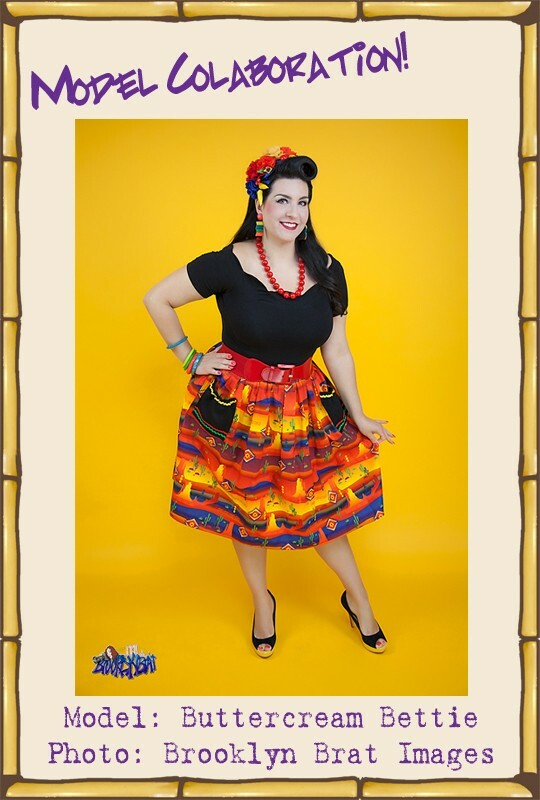 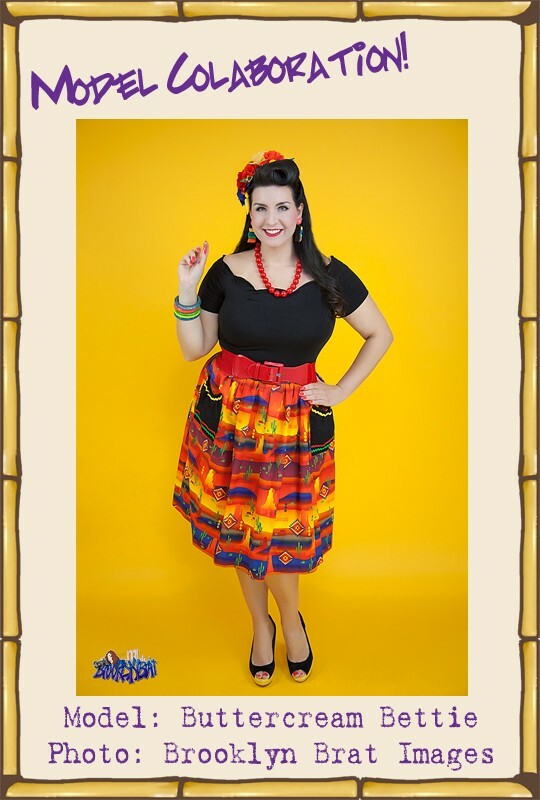 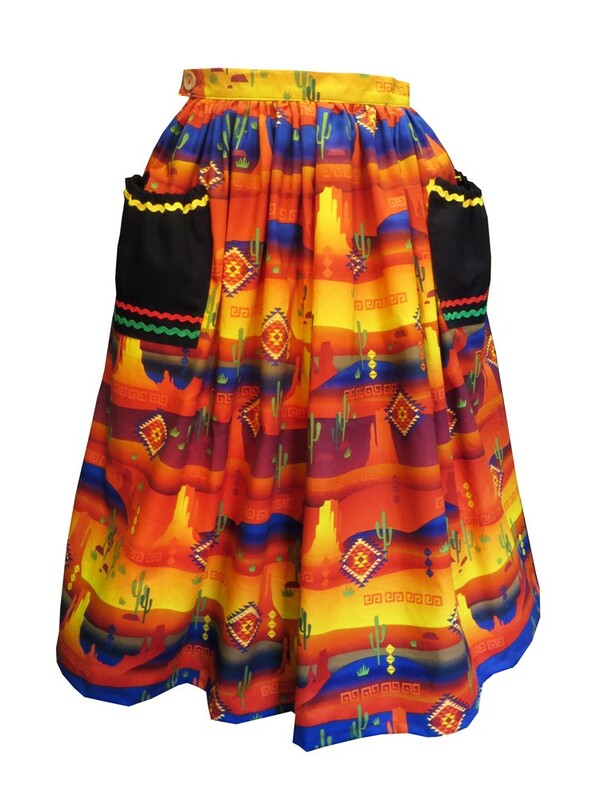 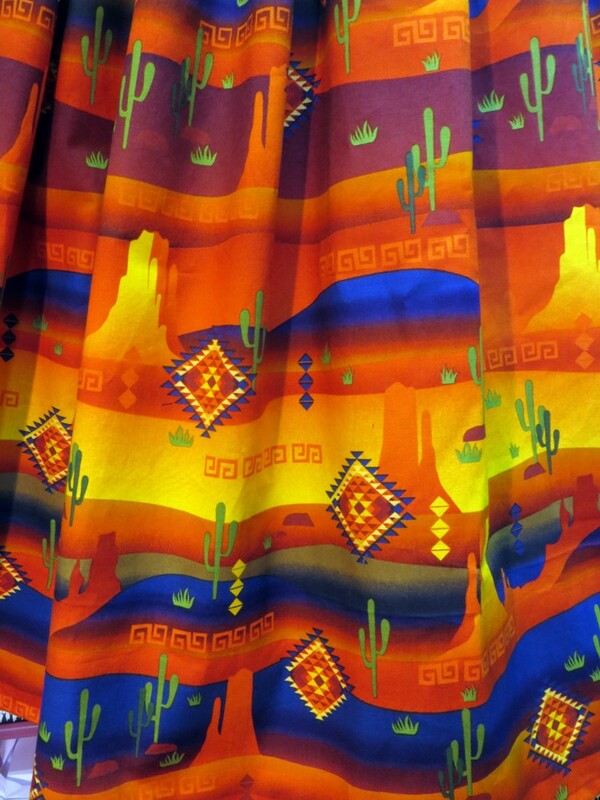 Gathered knee length skirt made from cotton printed with a vibrant South American inspired design with Aztec motifs, sand dunes and cactus. 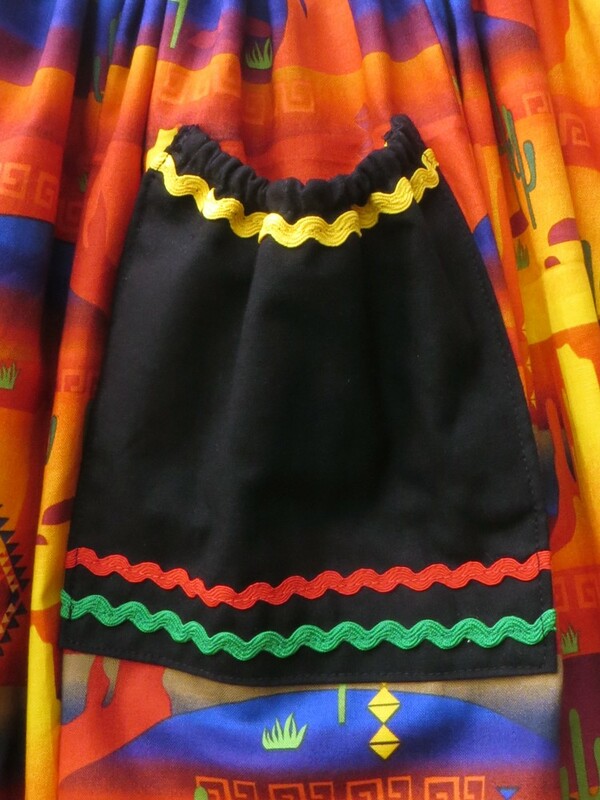 The skirt features two gathered pockets, decorated with re, green and yellow ric rac, perfect for your phone, lippy and other essentials! 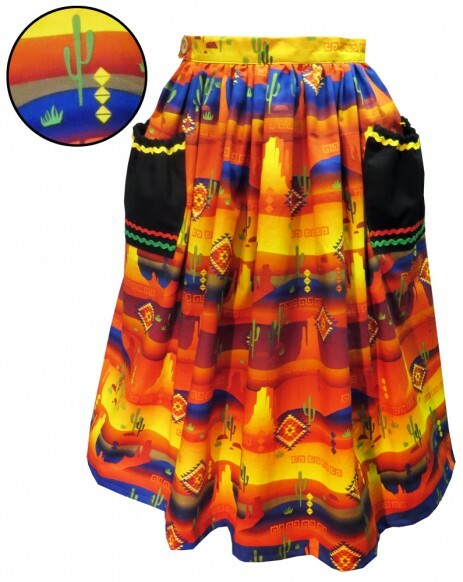 The skirt is about 69cm/27" long from the top of the waistband. 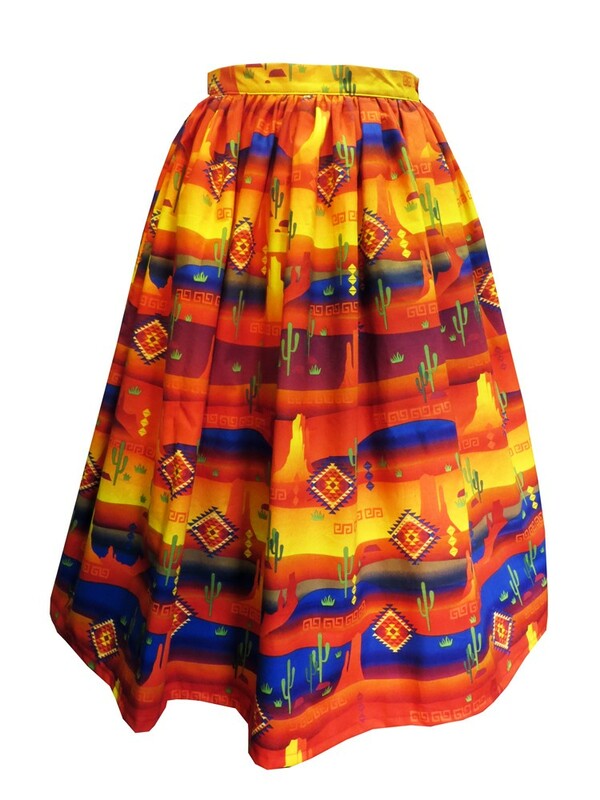 The sweep is about 2.18m/86". 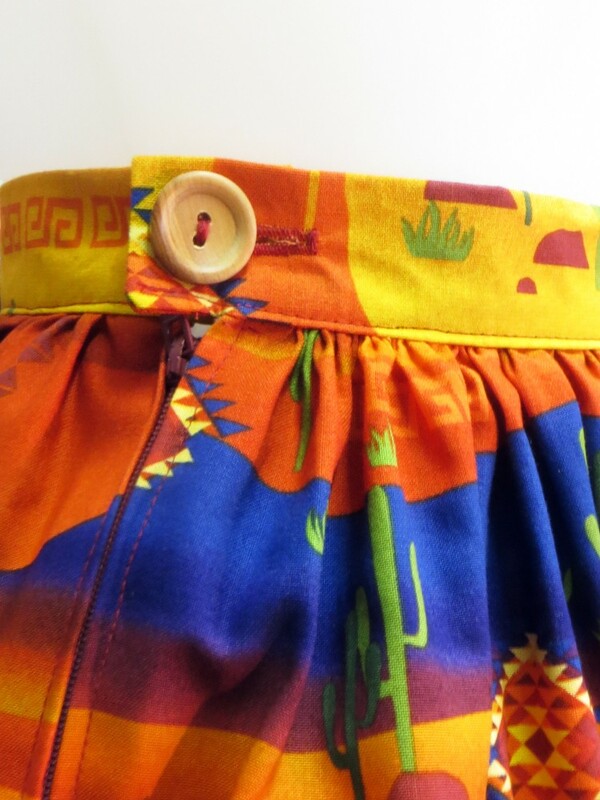 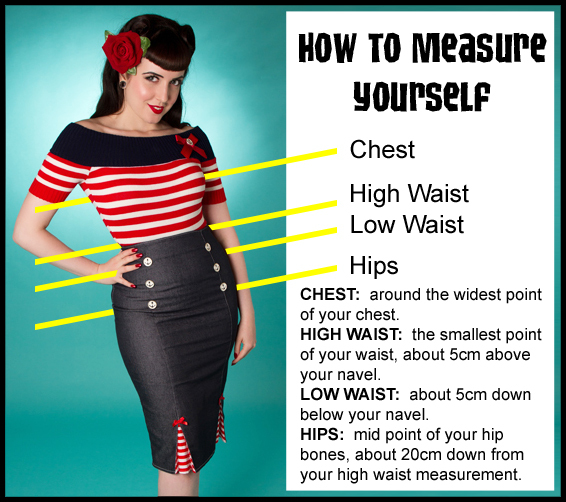 The waist band fastens with a button, which, if you are handy with a needle and thread, you can move a couple of centimetres either way to get the perfect fit!